A brain injury lawyer is a partner and ally in your quest for a better life and a brighter future. Your lawyer can help you at every stage of your journey to recovery, no matter where you fall on the continuum of brain injury outcomes. Brain injuries are a leading cause of injury, claiming 52,000 lives each year. For those lucky enough to survive, life can still be challenging. Emergency departments seem more than a million brain injury patients each year, with 275,000 people staying overnight in a hospital due to head injuries. Many don’t seek the help they need from a brain injury lawyer. If you’ve suffered a brain injury, the future is uncertain. Some brain injury survivors make full recoveries. Others continue to experience symptoms such as headaches, pain, ringing in the ears, mental health difficulties, and personality changes. Some find themselves totally debilitated, unable to work or enjoy previously beloved hobbies. Though you might wish it were otherwise, our legal system cannot compel people to be sorry or to apologize. Instead, we compensate people with money, either through negotiated settlements or jury awards. This turns out to be a good thing for brain injury survivors, since the costs of treating your injury can be immense. Other costs -- lost wages, loss in earning capacity, childcare for your children while you pursue treatment, and the emotional toll of your pain and suffering -- can rapidly accumulate, too. A brain injury lawyer funds a secure future by suing to recover any and all financial damages you’ve sustained. While money won’t give you back your life, it can fund quality medical care, and give you the financial peace of mind that can help you keep going in the face of a challenging injury. Your brain injury isn’t your fault. You're still you. Even if you can’t do everything you once did, you’re still a human being deserving of fair and equal treatment. Unfortunately, many people don’t see it this way. Whether conscious or unconscious, discrimination against people with disabilities is rampant. From staring in restaurants to doctors who think the disabled can’t make their own decisions, and from educational discrimination to the employer who won’t make accommodations for your disability, odds are good you’ll experience some form of discrimination. You don’t have to take it. Most forms of disability discrimination are illegal. But to protect your rights, you first must know what they are. A brain injury lawyer can educate you, arming you with the knowledge you need to fight back. And if you do face discrimination, your lawyer can work to protect your rights. You might think of your brain injury lawyer as little more than a litigator. 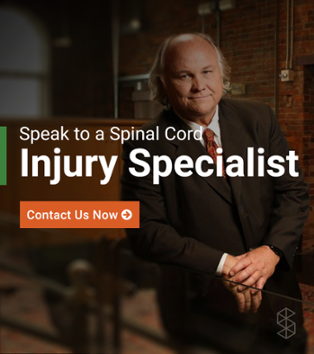 If he or she specializes in brain injuries, though, he or she is also an expert in life after catastrophic injury. Your lawyer may know about local support groups, the best doctors, therapists who specialize in brain injuries, and what you can expect from your local brain injury support community. Don’t shy away from asking your lawyer which support options he or she recommends. Many people think that hiring a lawyer means a lawsuit is inevitable. Suing is just one of your options. Your lawyer can write letters on your behalf, connect you with disability advocacy groups, and offer a crash course in brain injury rights. If you’ve been injured, you need a lawyer -- even if you don’t think you have a case. 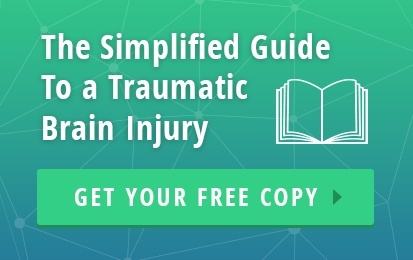 Many brain injury survivors are surprised to learn they have a valid case. Some mistakenly believed that no one was at fault for their injuries, or that a negligent doctor did all he or she could. No one -- not a friend or family member, not another brain injury survivor, not even your doctor -- except for a lawyer can tell you whether you have a valid case. A lawyer who specializes in brain injury cases will be the most effective advocate. He or she may notice legal issues other lawyers ignore. His or her familiarity with brain injury precedent, with lawyers who represent brain injury defendants, and with the legal culture surrounding brain injury litigation can help you at every step of your recovery journey. The best brain injury lawyers share a few characteristics. They are experts in their field, skilled litigators, and willing to fight each case at every stage. To choose a brain injury lawyer, consider asking your doctor, therapist, or a support group for a referral. Your lawyer will need to be licensed to practice in your state, and must have access to medical experts who can testify on your behalf. 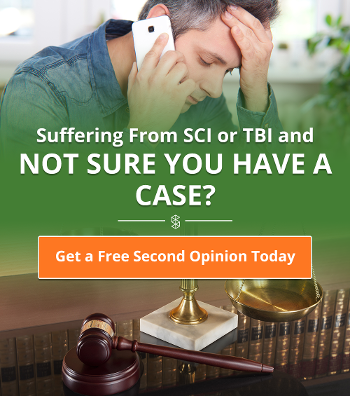 How long have you litigated brain injury cases? How many cases with facts similar to mine have you litigated, and what was the outcome? What would be a fair settlement in my case? How long do you think it will take to litigate my case? How likely is it that my case will settle, and what would be a fair settlement? Are there any news stories I can read about previous cases you have litigated? How frequently should I expect to talk to you? Under what circumstances would you no longer be able to represent me? Will anyone else, such as a paralegal be working on my case? Can I meet them? Are there any recent cases that could affect the outcome of my case? What specific claims do I have? How much will it cost to litigate my case? Will I have to pay anything? What percentage of any settlement or jury award will you take? Do you know anything about the other side’s lawyer? Have you ever litigated against the entity I plan to sue? Is it Time to Get Legal Assistance for a Brain Injury?